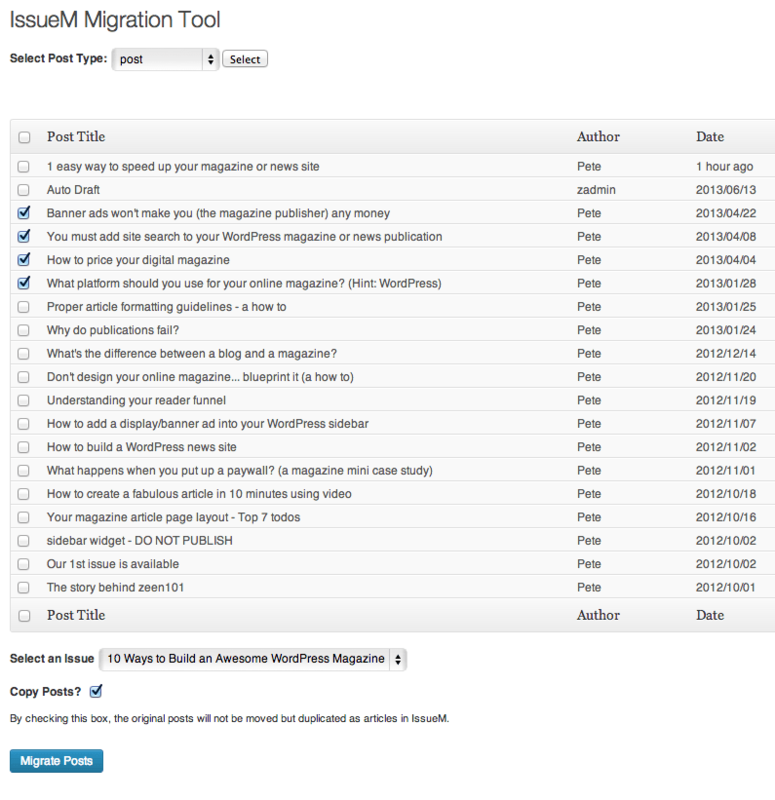 This plugin let’s you move a Post (or other post type) into an Article and assign it to an issue. You can choose to preserve the original Post by checking the “Copy Posts?” box. Leave the box unchecked to delete them during the move process.